Looking for a Used Magnum in your area? 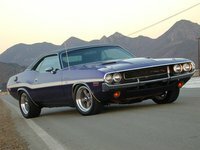 CarGurus has 272 nationwide Magnum listings starting at $2,400. The original Dodge Magnum XE had a mere 2-year lifespan, with only 25,367 produced in 1979Ã¢â¬âperhaps cut short by the energy crisis, perhaps by a lagging interest in muscle cars. The 1979 Magnum XE tried to straddle 2 segments, sporty and luxury, and combine the thrill of a muscle car with the high-end practicality of a roomy family car. The 2-door coupe sat 4 comfortably and was a good compromise for those who weren't yet ready to let go of the Mopar spirit. The 1979 Dodge Magnum XE showed only a few exterior and engine option changes from the year before, most notably new taillights and the lack of the 400-cubic-inch engines. The last of Chrysler's B-body cars, it shared a body style with the old Charger SE and the Cordoba. The sleek front nose with retractable headlights and rear opera windows hinted at the popular racers of the late '60s and early '70s. 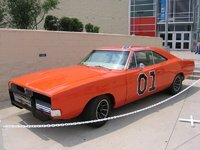 Under its hood it came standard with a 318-cubic-inch 2-barrel V8 Lean Burn that put out 135 hp, matched with a 3-speed TorqueFlite transmission. The optional 2-barrel 360-cubic-inch, a 4-barrel 360 or a 360 high-performance E58 police engine were also available. The E58 had its horsepower and torque increased by 20 hp and 20 lb-ft, respectively, making 195 hp/280 lb-ft in 1979, versus the '78's 175 hp and 260 lb-ft/torque (slightly less in California). The 1979 Magnum came in standard XE trim or with a GT option package that added front fender medallions, silver GT logos, wheel lips, color-keyed fender flares, heavy-duty 15-inch by 7-inch extra-wide GT Rallye wheels, charcoal astratone wheels painted with a bright center dome, lug nuts and deep-dish trim rings, GR60x15 white-letter Goodyear aramid tires and a leather-wrapped 3-spoke steering wheel (a 2-spoke wheel if the tilt option was ordered at no extra cost). The GT's Firm Feel suspension included heavy-duty torsion bars, heavy-duty anti-sway bars front and rear, heavy-duty shock absorbers with special valving and heavy-duty rear springs. The special Firm-Feel power steering system and special engine-turned instrument rallye dash panel and crash pad applique included matching console trim with the console. FYI: The GT (Grand Touring) package had nothing to do with performanceÃ¢â¬âyou could order it with any engine, transmission or rear axle. There are plenty of Magnum GTs with the 318-cubic-inch 2-barrel or 360-cubic-inch 2-barrel engines in them. Only 1674 Magnum XEs had the GT package in 1979! The 1979 Magnum XE would be replaced by a lighter, shorter Mirada the following year. However, as the last lone representative of the muscle-car era, the Magnum XE & Magnum GT remain much-loved cars. They last forever, say owners, and handle smoothly. The inside is very comfortable for long rides. Some do report having problems with the Lean Burn emissions system. --This review was written by Christopher (MAGNUM GT XS22L9R), Super Moderator @ Moparfan.com, a place where the real Magnum owners hang out! What's your take on the 1979 Dodge Magnum? emarway Does anyone know how much a 1979 dodge magnum is worth? rlkittlejr I'm looking for donor car with good body panels for my dad's '79 GT. These cars are a family tradition. I own a '79 XE with t-tops. If you have any leads please let me know! rlkittlejr@gmail.com Also I'm located in Michigan but travel the USA for work. Let me know what you have! Blueeyeswdm My 1979 Dodge Magnum has a hesitation when it is cold and sometime it dies, is there something that helps this problem. It has a 360 engine in it and for the most part runs fairly well. GuruDQWTX I ordered a 79 Magnum in 79. It was Black with red vinyl bucket seats. Half vinyl top. got the larger tires so I could get the GT fender flairs. Had 318, auto on the floor. Traded it in in 81 and as far as I know it went to Cleveland, Ohio. Wish I could find it. Have you driven a 1979 Dodge Magnum?